A sewing machine is a common device to create different pieces of clothing, even to embroider or quilt. Even though sewing by hand is always a viable choice, there’s always the convenience of letting the machine do the task for you. The best sewing machine will ultimately bring efficiency and ease to the table. If you think that choosing a sewing machine for beginners or experts is easy, then you might’ve not looked into the market as of late. Some people tend to think that choosing the right device for sewing, embroidery, or quilting is one of the toughest challenges they have to face. 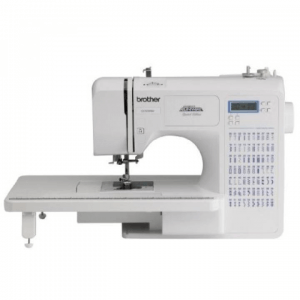 You can select from different sewing machine brands such as Singer, Brother, and Janome. 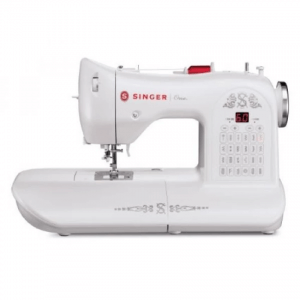 In this post, we’re going to introduce to you our top computerized sewing machines we’ve found on the market and placed them in a ranking format. 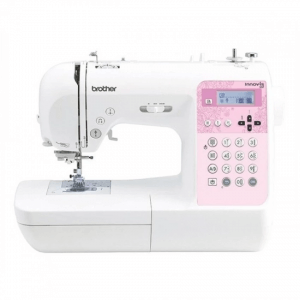 Use our guide if you have trouble selecting a sewing machine or if you’re currently doubtful about your first choice. What is a Computerized Sewing Machine? The latest evolution to come into the sewing world is the computerized sewing machine. However, there are many who are still confused about the differences between the traditional sewing machine to a computerized model. So what is a computerized sewing machine anyway? Computerized sewing machines are devices that give users the freedom to input their desired stitches and sewing patterns into the device. There’s going to be little manual input from the user, thereby letting you watch TV while the machine does the sewing for you. Changing the size and pattern of the seams can become reasonably easy, and sometimes all you need to do is to push a button to achieve your intended results. Some computerized sewing machines even have a one-touch threading feature that allows threads to pass through the needle with just one touch; hence the name. There’s also the automatic thread tensioning feature that allows users to take advantage of letting the machine automatically adjust the upper and lower thread tone. Some models will even have LCD screens to allow you to check the current settings placed on the device. Most computerized sewing machines just need a twist of a dial to change a setting. Tailors, embroiderers, and master quilters around the world have found a breath of fresh air once they got their first computerized sewing machine. Buying a new sewing machine is a great investment. Yes, there are plenty of units out there that do cost a pretty penny, but one machine can last you 10 to 20 years; with proper use and maintenance, of course. 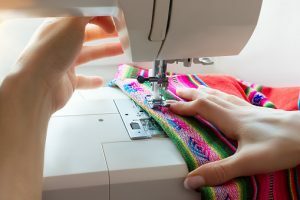 Perhaps the most important factor to consider when choosing a computerized sewing machine is your current skill in sewing, along with the frequency of using the device. Always consult yourself first before making any purchasing decisions. 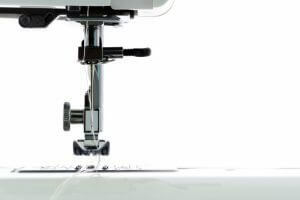 Beginner sewing machine users should know how to operate the device to some extent. If you’re a complete newbie in the world of sewing, then you should use a machine that’s tailored to your current level of expertise. On the other hand, if you already see yourself to be an expert at sewing, then you should purchase a machine that allows you to make more complicated seams and stitches. There are also sewing machines that are fit for intermediate users. If you see yourself in this level of expertise, then you’re not a complete beginner but you still see yourself as a person who’s trying to “learn the ropes” to get better at sewing. As such, search for a computerized sewing machine that’s not too complicated or too basic for your stitching needs. Whether you’re a beginner or an advanced tailor, quilter, or embroiderer, always think about the frequency of use for your machine. If it’s just going to be the occasional jeans hemming, then you might not want to consider buying a very expensive sewing machine. However, if you’re going to use the sewing machine on a more frequent basis (i.e. when you’re using it to generate income), then you need a device that might come with a plethora of features to make the investment worthwhile. There are now many computerized sewing machines on the market that are compatible with all skill levels. Just make sure that you make your decision in accordance with its frequency of use to avoid regrets. Let’s face it, sewing machines of any size will take up space on a desk or surface. There are a number of small sewing machines that have become increasingly popular as of late, but these tend to lack certain features that advanced users might be looking for in the device. However, if the machine is just for the occasional use (i.e. seam repair), then a small device should suffice. On the other hand, if you’re going to use the computerized sewing machine frequently, then a larger machine should fit your needs. A full-sized sewing machine tends to have plenty of features that’ll help users deal with different challenges. However, these tend to take up a lot of desk real estate, so you better have a table or surface that’s large enough to fit the device. Never forget to think about the size of the computerized sewing machine when you’re choosing a device from the Internet. Do you need a Foot Controller? 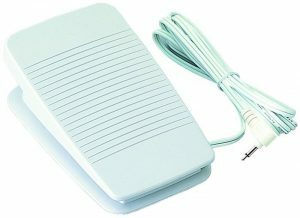 If you’re new to the world of sewing machines then know there’s a peripheral called the foot controller that can aid in bringing better control to your sewing endeavors. Many find the accessory to bring added convenience as it allows users to be in charge when the machine starts and stops. However, not every sewing machine user on the planet sees the foot controller as an advantage. Some might not use it entirely and just leave the peripheral in the box. Before you purchase any computerized sewing machine, always keep your working environment in mind. If you’re placing the device on a table, surface, or work desk, then you’re most likely going to do all of your sewing sitting down. As such, it might be a convenient option to make use of a foot controller. On the other hand, if you’re going to place the machine on the floor, then the foot controller might not be a necessary addition to your sewing efforts. Some sewing machines will already have a foot controller as part of the package. If your chosen device doesn’t have this accessory and you’d want to use it, then you can just search for this peripheral and buy it separately. Just remember to check the compatibility of the foot controller to your computerized sewing machine. Perhaps the main attraction of any computerized sewing machine on the market is their ability to sew complex patterns and seams with the help of simple operations. However, most of these machines tend to give interested buyers the “What You See is What You Get” look. In other words, you can’t add or subtract sewing patterns to and from the machine. Most computerized sewing machines can handle the essential sewing patterns like the basic and zigzag stitches. 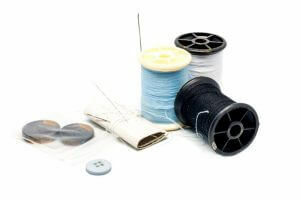 If you don’t require complicated stitches and seams, then basic models should suffice for your sewing requirements. On the other hand, if you want to sew in letters or intricate designs to your clothes, apparel, and other materials, then you should choose a model that can help you achieve these results. It’s sometimes difficult to pass a thread through the needle found in sewing machines. Sometimes you might even have difficulties in controlling the speed of the machine applying the stitches. It doesn’t mean that sewing machines are nothing but trouble and you should just resort to hand sewing instead. Many sewing machines are by no means perfect, but it doesn’t mean they’re completely useless as well. Today’s computerized sewing machines now have functions that allow users to save some trouble if the device decides to have a few hiccups. For instance, some devices have an automatic threading feature to allow easy pass-through for threads with a simple press of a button. Many computerized sewing machines also allow users to control the speed with a button or a dial. There are also some models that allow for a gradual startup before reaching optimal speeds to avoid mistakes. If you’re looking for efficiency in a sewing machine, then choose a device that has this feature. Now, let’s take a look at our top recommended computerized sewing machines in a ranking format. Ask yourself, “What is the best sewing machine that can last a long time?” We’re here to help you out with your decision-making process. 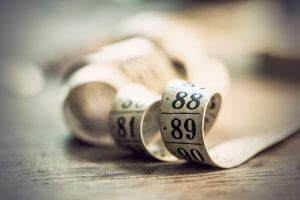 Are you a stickler for quality even though you’re not going to use your sewing machine all the time? If so, then it should be in your best interest to check out this computerized sewing machine. For starters, this model allows you to choose from up to 60 stitches, and you can even adjust both the stitch length and width. Other favorable features include auto-threading, speed control, and easy-to-use start/stop buttons. 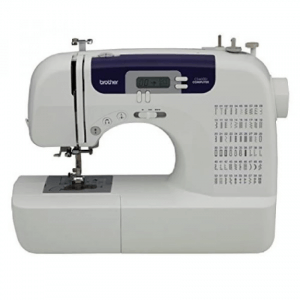 This model does have standard sizes for its length and width, but its one of the thinnest sewing machines you can find. As a result, it’s a great choice if you don’t have a large storage space for the device. This computerized sewing machine automatically sets the lockstitch at the beginning of your sewing project. 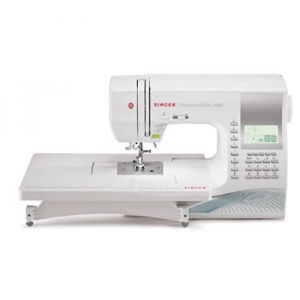 As a result, this model is an ideal choice for those who don’t want to manually sew the lockstitch for a secure sewing session. It does come with a unique feature wherein you need to clip the stitch guide to the side of the unit, but there are times when it can become a hindrance. Thankfully, you can remove the guide anytime you wish if it does get in the way of your sewing session. If you thought that choosing from 60 or 135 stitches is already great, then this model should make you happy because it has 600 built-in stitches on offer. It can also help you with your embroidery or quilting needs as you can choose from 5 different font styles. Still, it doesn’t mean that this product isn’t a great choice for beginners. The controls are easy to follow and use, and the instruction manual is highly detailed as well. 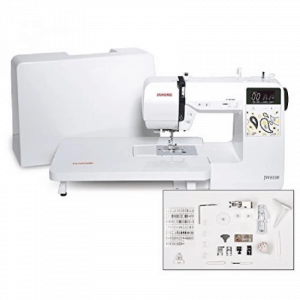 This sewing machine is a great choice for those who want more stitch styles for various projects. If you’re looking for a computerized sewing machine that’s fit for embroidery, sewing, and especially for quilting, then one ideal option to add to your shopping list is this sewing machine. This model starts by making a few stitches then goes back to add more for a sturdy and secure finish for your quilts. Even though it has features for sewing and embroidery, quilters will get more work done out of this model than tailors and seamstresses. If you’re into quilting, then this machine is definitely for you. If you’re new to the world of sewing and/or quilting, then perhaps the automatic features brought by this computerized sewing machine can help you out in your new venture. Its decorative stitches may be smaller as compared to other models, but it means it’s a great choice for beginners who want to try light embroidery, quilting, and sewing. If you’re troubled with noisy motors that other sewing machines have, then perhaps you should give this model a try. This computerized sewing machine has a quiet motor so that you can work in peace. This model doesn’t have a speed control function or an automatic needle position. However, it still comes with plenty of automatic features like an automatic needle threading system, a drop-in quick set bobbin, and a hassle-free drop feed. This compact computerized sewing machine lets you work with long and short fabrics because of its extension table. Even though its base is larger than many computerized sewing machines on the market, the entire unit still retains its lightweight and portable design. Its size might also be its downfall because it does mean that you’re going to have fewer stitches to work with because it only offers 27 selectable stitches. Nonetheless, casual users will still get a kick out of its extension table and its other automatic features. 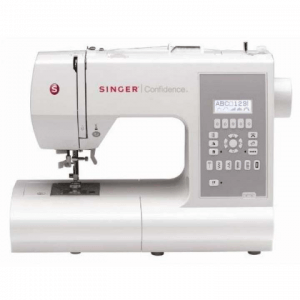 Unlike other sewing machines that only offer manual tension controls, this model’s automatic tension control so stitches will always look good on both sides of your fabrics. Also, what makes this product distinct from other product is 10 bonus feet which come with this product. They allow you to make creative sewing. 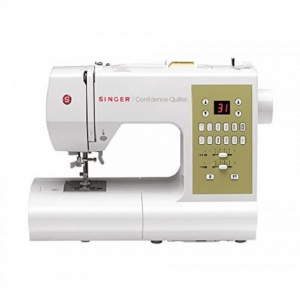 This sewing machine is a great choice for intermediate to expert users because some controls might be a bit too complicated for beginners. This top-notch computerized sewing machine has a great list of features like a top-loading bobbin that’s both automatically winding and jam-resistant. While other sewing machines only offer one LED light shining on your work area, this model offers three. However, this sewing machine only has 24 built-in stitches, which can be disappointing. Look past this caveat and you’re going to get a large sewing surface to accommodate fabrics of different lengths. 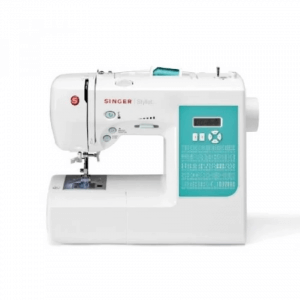 If you’re still looking for an upgrade to your traditional sewing machine or if you’re planning to get into the sewing industry, then you might not want to look further than this model. Now that we’ve introduced to you our recommended computerized sewing machines from the market, how did you like our list? Sewing machines are important devices for you to create beautiful clothes and apparel, create masterfully done quilts, embroider letters to cloths, and perhaps even repair torn jeans. Computerized sewing machines help its users in bringing speed, efficiency, and convenience to many creative challenges.